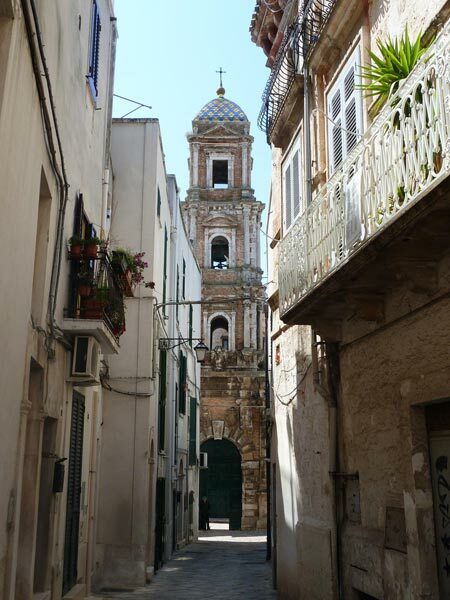 The town of Conversano (population 25,000) stands on a hill 219 metres above sea level to the south of Bari, which is about 30 km away. 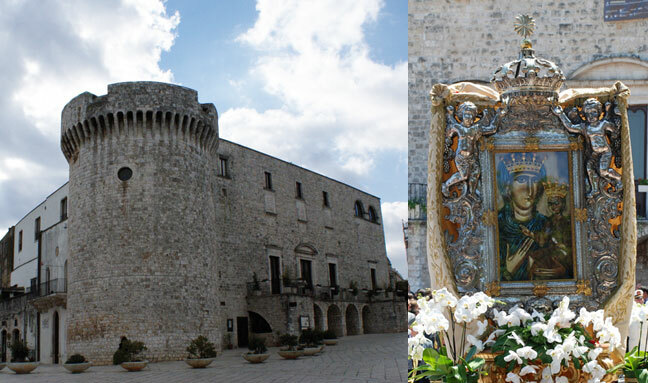 On a pleasant hill in the Murge area, just 8 kilometres from the sea, surrounded by the fertile green countryside, Conversano unites traditions and progress, the interest of its long rich history with its wealth of artistic monuments and important industrial settlements, the peacefulness of the centre of the province with the variety of an expanding economy. Its origins are ancient, Norba had roots in the Iron Age (8th - 6th century BC), when peoples such as the Peucetii and Japyges settled here. 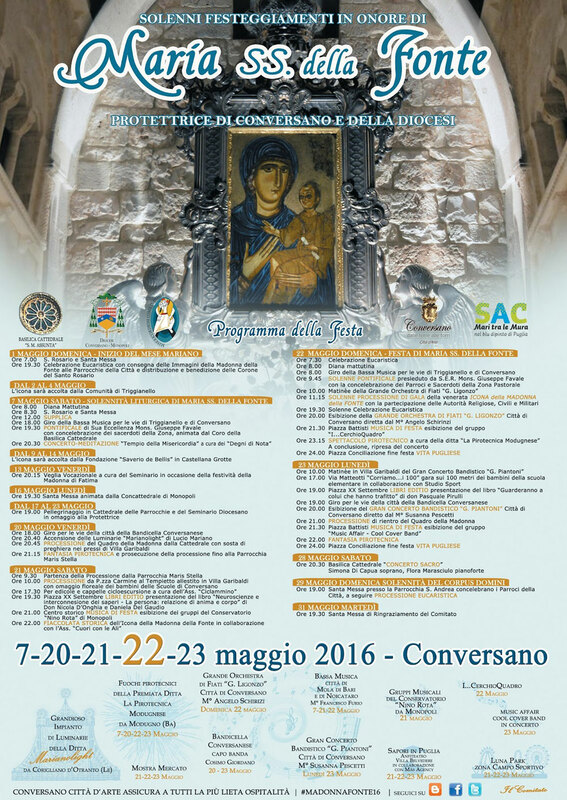 Conversano is a centre of ancient history and culture. In the Norman era, in the 11th century, it already enjoyed a certain florid splendour. In fact, Godfrey of Altavilla was responsible for the first Apulian -Romanesque style nucleus of the cathedral, the castle with its Torre Maestra (master Tower), and the monastery of S. Benedetto, famous throughout the world as “monstrum apuliae” because it was the seat of “mitred” abbesses. From this date (roughly 1054), and for the following four centuries a succession of different ruling families flew their colours over the town, including the Luxembourgs, who contributed to enlarging the castle. In about 1422 the county passed into the hands of the Orsini. Not long after this a string of Counts of Aragon ruled Conversano (19 in 4 centuries), amidst a flurry of heroic acts and love stories, until Jerome II of Aragon, more commonly known as the “Squint-eye of Apulia” (“Guercio delle Puglie), cross to bear and delight of the county (see “jus primae noctis”, which gave rise to the nickname for the people of Conversano: children of the count). Surrounded by many legends, the “Squint-eye” held the county in “check” for about 40 years (1626 -1645). 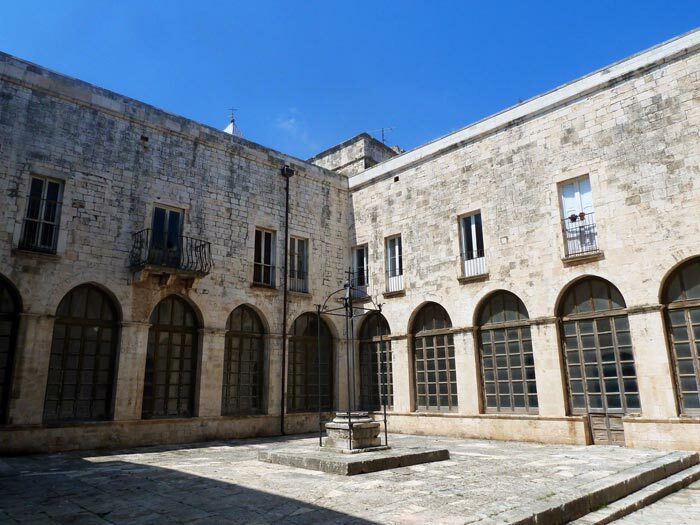 The present day Conversano is without a doubt one of the most prized cities of art in Italy, thanks above all to the careful conservation and restoration work carried out on the works of art and monuments that history has bequeathed the area. 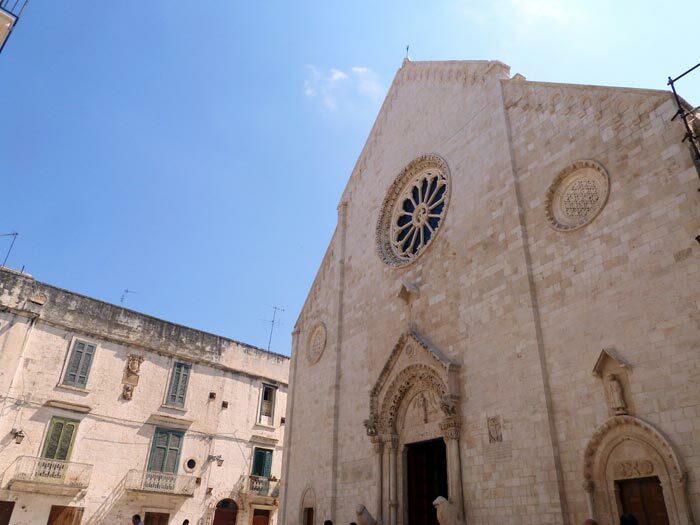 A great attraction to tourists are the numerous events and concerts that Conversano hosts throughout the year, enlivening the area with a deep breath of culture. 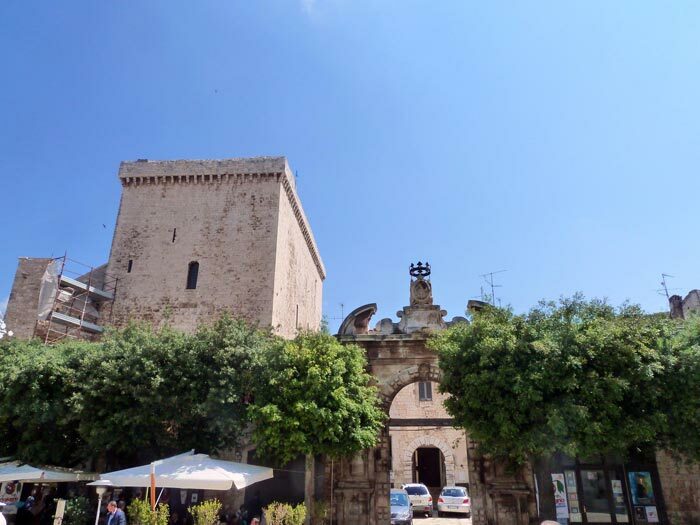 Places to see: the castle, the art gallery, il Museo Civico Archeologico (archaeological museum), the cathedral, church of San Benedetto, church of Santa Maria dell'Isola, Castello di Marchione (castle), the Torre di Castiglione (tower), church of Santa Caterina.